- Business Co-operation Contract (BCC), a form of investment applied to project co-operated between one or some local investor(s) with one or some foreign investor(s) usually by legal entities. This form of investment does not create a new entity but managed by board of members appointed by the investors. - Public private Partnership (PPP). Investors or project Enterprise sign PPP contracts with competent state agency to implement investment project to build or renovate, upgrade, extend, manage and operate infrastructure works or to provide public services (Legal entity is not appeared). Foreign investor starting business in Vietnam must apply for Investment Registration Certificate. 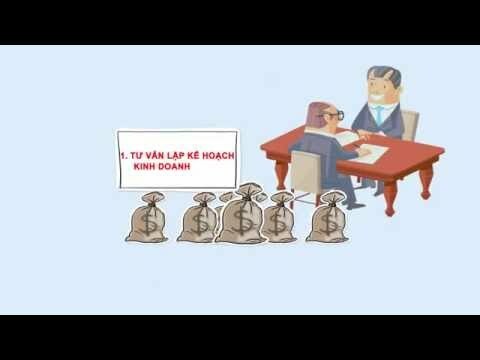 Investment Law of Vietnam requires foreign investor that (regardless of joining or not joining with local investor) firstly apply for doing business in Vietnam must have a project or a business plan (so called project) and register to Investment registration certificate before setting up a company to operate the project. One company is allowed to have one or more projects. Application for Business Registration Certificate is submitted right after issuance of Investment Registration Certificate. Representative office (RO) of foreign company to Vietnam is set up by registration and application for establishment licence. Other conditional licenses as requested by the law on e.x. education, food, hospital, etc. The Provincial department of planning and investment grants Investment registration certificate. to project located in such province but outside the planned industrial zones, import-export; processing zones and special economic zone. The Provincial Management Board of industrial, import-export, processing and special economic zones grant licence to project located in such zones. 4. Projects requiring application of special mechanisms and policies subject to decision by the National Assembly. 4. Other projects subject to investment policy decision or investment decision by the Prime Minister in accordance with law. b/ Projects using technology on the list of technologies restricted from transfer into Vietnam in accordance with the law on technology transfer. The Provincial department of Industry and Trade grants license for establishment of representative office of foreign company operating in commercial sector in such province. Representative office of company dealing in specific industries like tourism, insurance, finance, banking is licensed by other provincial professional department/ authority. Where to submit the application dossier: Application dossier for Investment Registration certificate is submitted to Provincial department of Planning and Investment in case of project located outside planned industrial zone; and to Provincial Management Board of Industrial, import-export processing, economic zones in case of inside such areas. Vietnamese law does require that a company is allowed to engage only in the business activities that registered, applied and got in the investment certificate. Besides, business activities of services are regulated by commitments of Vietnam’s accession to WTO. Depend on the form of enterprise to be set up in Vietnam, foreign investor must appoint Chairman, Board of management and legal representative of the company; While the Chairman and Board of management is self-controlled by the investor, legal representative of the company must have permanent residence in Vietnam, and must leave authorization to other person in case of absence over 30 days in Vietnam. The law also allows companies to have more than one legal representative. One of the legal representatives of a company must have permanent residence in Vietnam. When the period for which it was established has expired. Due to other reasons stipulated in the Founder’s Deed (Agreement).